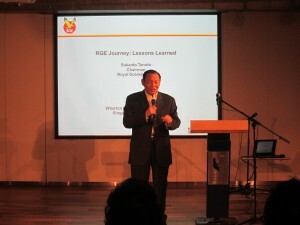 This is the second of two Inside RGE posts covering RGE Founder and Chairman Sukanto Tanoto’s keynote address to a visiting group of MBA students from the Wharton School of the University of Pennsylvania on May 25, 2015. The address is part of the Global Modular Course on ‘Sustainable Growth in ASEAN’. 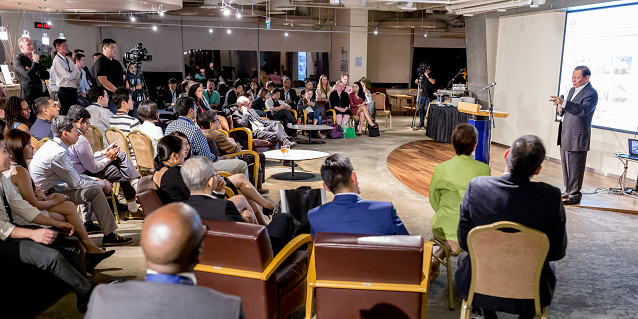 Speaking at the University Lounge in the Singapore Management University, Sukanto Tanoto candidly shared his experiences, struggles and how he overcame various challenges. The previous post may be found here. The common threads of lifelong learning and overcoming adversity run deeply in the career and life of Sukanto Tanoto. He faced one of the sternest tests in the 1997 Asian Financial Crisis. Having enjoyed a period of growth, the Asian Financial Crisis struck. Sukanto Tanoto called it a “scary moment”. At that point in time, he had USD 2 billion dollars worth of projects in Indonesia and China that he had to see through. Mr Tanoto raised the example of 危机 (wei ji), which refers to crisis in Chinese. For him, in a crisis, there is danger 危险 (wei xian) as well as opportunity 机会 (ji hui). With perseverance, grit and a good support network of colleagues and family, he weathered the storm. He outlined an important principle that he and his businesses hold strongly – having the integrity and resolve to honour the agreement they have with the banks and repaying all loan principles and interests. China cannot forever burn coal to produce electricity… China eventually needs (to use clean energy)… And we joint-ventured with Petrol China. Philosophy Having examined the growing interconnectedness of business, communities, nations around the world, a post-Financial Crisis Sukanto Tanoto focused his businesses on the 3 Cs – Doing what is good for the Community, Country and Company. This plays off the business operating principle People, Planet and Profit, and is a fundamental principle entrenched in all of RGE’s companies. 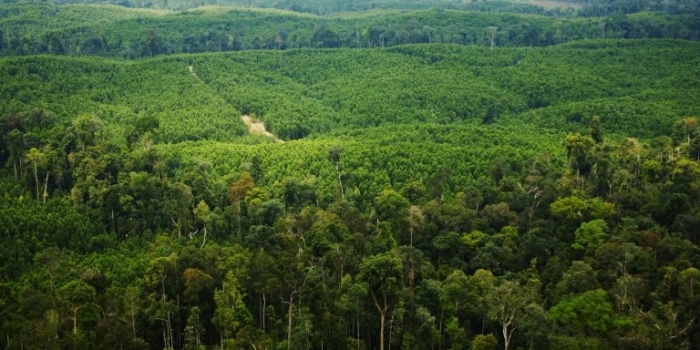 The complete “Sukanto Tanoto – An Entrepreneur’s Journey” playlist may be found here.